The “Mona Lisa” is both mesmerising and tantalising. So much about it is mysterious, but one thing is clear: in a life studded with unfinished projects, this was one which Leonardo not only completed, but kept with him until his death, because in it he addressed and realised so many of the themes which are at the core of his work. 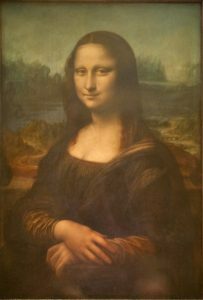 This lecture examines the Mona Lisa itself but also uses it to explore and understand the genius of Leonardo da Vinci. This lecture is also appropriate as 2019 is the five hundredth anniversary of Leonardo’s death.